A plane was forced to make an emergency landing in Pennsylvania Thursday after it lost power to an engine during the flight. 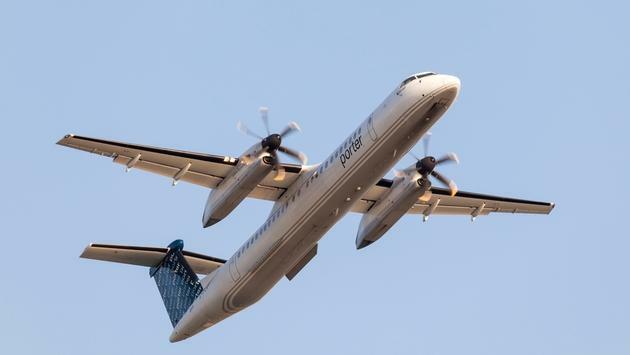 According to CBS New York, a Porter Airlines flight had departed from Newark Liberty International Airport en route to Toronto Pearson International Airport when the incident occurred. The turboprop plane was carrying over 30 people when the pilot reported to air traffic controllers there was a problem with one of the engines. The crew was permitted to divert the aircraft and managed to land safely a short time later at Wilkes-Barre/Scranton International Airport. No injuries were reported as a result of the engine malfunction. While officials from the airline and airport did not expand on what happened to the plane, local reports claim the flight landed with one propeller not working.